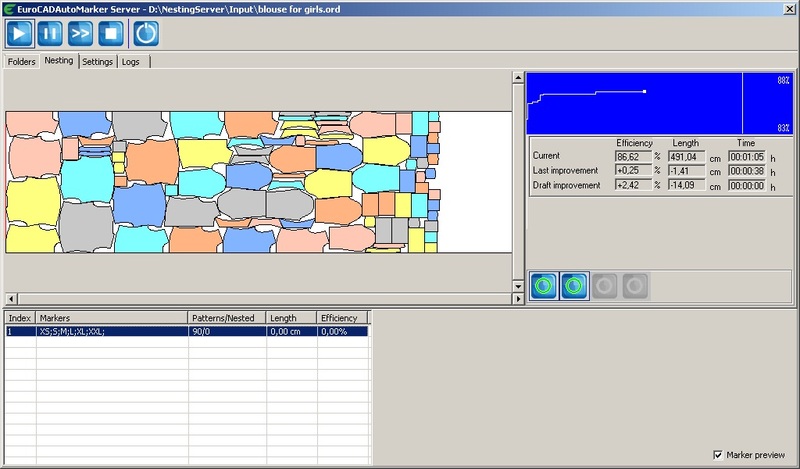 EuroCAD AutoMarker Server is an advanced solution for automatic nesting in apparel industry, developed by EuroCAD Systems, but also available for users that work on other CAD products (direct convertor from Lectra, Assyst, Gerber and also from all applications compatible with DXF - AAMA standard format). EuroCAD Multi Core AutoMarker Server is now able to take full benefit of the computing power of all cores in your processor, and by doing this is able to increase the nesting speed by up to five times. It is like having five computers working together for same marker. But it is all inside your computer and it comes with a low budget. EuroCAD AutoMarker Server is the result of five years of continuous R&D efforts and investments, mixed with a consistent feedback from customers all-over the world. 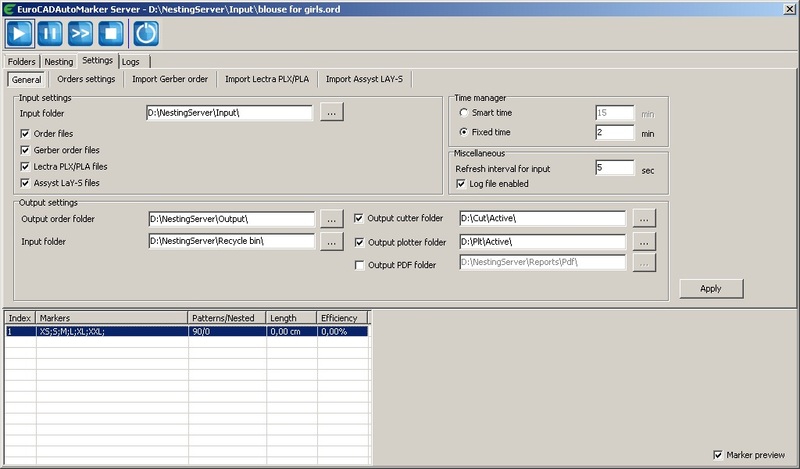 EuroCAD Auto Marker can output the nesting results in its own file format *.pt or *.ord, but can also export in all major industry standards: DFX-AAMA, HPGL- PLT, ISO-CUT and RS274D. After automatic nesting, the markers can be directly plotted or send to automatic cutting machine.